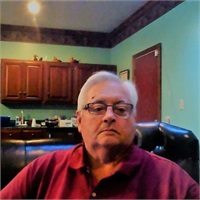 Charles E. Davis CFP I spent the last 38 years with one mission in mind to enhance my client quality of life,by being their partner in money decisions. it is helpful to have a disciplined and objective partner who delivers advice based solely on an intimate understanding of one’s needs and objectives. I believe that I can be that partner, to help reduce your stress around financial matters,by giving you a unbiased,and tailored solution to your unique situation. 1984 Formed Charles E. Davis CFP to provide Investments, Insurance and protection, and Estate and Tax planning. 1991 Investors Diversified Services - 1994 American Express Financial Advisors-2006 Ameriprise Financial Services to provide Investment advice and Financial Planning. 2006 inherited Gail Davis Agency Inc. currently President. Teacher retirement plans and family protection, and educational scholarships. To provide help accumulating, managing and distributing wealth. Business planning and retirement plan selection and design. American Express Financial Advisors Presidents Recognition Award for providing high quality advice and commitment to his client 1997. Adjunct Faculty members to The College for Financial Planning 1985-1989. American Express Financial Advisors and Ameriprise Financial Services has awarded recognition of outstanding client service to Charles E. Davis CFP, As reflected in Client Satisfaction Survey results of 90-100% from 2000 to 2009. American Express Financial Advisors has recognized Charles E. Davis CFP for demonstrated expertise in meeting the financial planning needs of small Business Owners. Recognized for Leadership as President Ohio State Association of the Gleaner Life Insurance Society July 2005.